Picture a house covered in vinyl siding. In your mental image, does the siding create lots of horizontal lines that wrap around the house? That style is certainly the most common method of putting up vinyl siding, but you have many other options. You can get vinyl siding shingles that look almost exactly like wood, and some vinyl panels feature unique lines, such as scalloped edges. In short, people buying vinyl siding have more choices than ever. You may love that you can find exactly what you want, but you could also get overwhelmed by all the decisions you have to make when buying this product. This buyer’s guide is here to simplify the process for you. When you choose vinyl siding for your home, it’s easy to focus more on aesthetic features than functionality. But smart buyers look at siding’s durability first and choose a color and a style towards the end of the process. Siding thickness is a good factor to consider first. Remember the simple rule that thicker siding usually indicates greater quality. Thicker siding stays strong in extreme weather conditions and usually resists minor fading from sun exposure better than thinner styles. How thick is a quality siding? The American Society of Testing and Materials requires vinyl siding to be 0.035 inches thick, but the most durable vinyl panels are at least 0.04 inches thick. Green living experts and siding contractors acknowledge that vinyl has both pluses and minuses when it comes to sustainability. Vinyl siding is made primarily from PVC. When manufacturers create PVC, the process produces dioxin, a chemical which qualifies as a pollutant. However, the Vinyl Siding Institute reports that the amount of dioxin released when creating vinyl siding has dropped by almost 90% in recent years. Vinyl’s durability allows it to last for 30 to 50 years on your home. But when it comes down, that durability also means the siding can last virtually forever in a landfill. If your vinyl installation will involve taking down old vinyl siding, ask your contractor to recycle it if possible. On the plus side, vinyl siding creates very little scrap during installation. Also, because vinyl won’t need regular repainting, it requires fewer resources to maintain. Finally, it contains no materials that pose health risks to the installers or the home’s residents, and it releases fewer chemicals than other siding materials. If you want vinyl that is eco-friendly, choose a higher-quality style that will last for decades-and then don’t replace it until you absolutely have to. This choice will keep the vinyl out of landfills as long as possible. Also look for insulated vinyl siding that makes your home more energy efficient. Vinyl siding comes in both insulated and non-insulated forms. The traditional, non-insulated form is simply a sheet of siding with bends and grooves that create its shape and allow it to attach to other panels easily. By contrast, insulated vinyl siding has the same shape but also comes with a layer of foam core insulation on the back. The main benefit of insulated siding is that extra layer of thermal protection it adds to your home. It keeps warm air inside during winter, and it blocks hot air from coming into the cool interior during the summer. As a result, you can use less energy to keep your house comfortable and spend less utility bills. That layer of insulation also benefits the siding itself. It helps the siding resist dents and bumps better and gives the siding a more uniform appearance. However, traditional vinyl siding does drain water better than insulated siding, and it is simpler to install. Finally, you’re ready to pick a siding color. And you’re in luck. 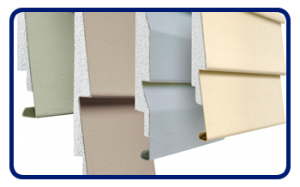 Siding comes in hundreds of colors, and you have more choices than shades of green, blue, or taupe. You can pick vinyl siding that resembles wood if you want your house to have a more traditional look. Some vinyl siding options are even made to feel like wood. Why does vinyl siding require so little color maintenance? The vinyl’s color runs throughout the material; it doesn’t rest on top of the material in a layer of paint. Even if the vinyl sustains minor scratches, the color still shows through. With wood siding, homeowners typically have to apply a new coat of paint every few years. Vinyl siding manufacturers have worked hard to make their products resistant to fading. As a result, your new vinyl siding will look essentially the same decades from now. You may notice a little lightening over time, particularly on siding that sees many hours of direct sun exposure. With the information above, you’re ready to start shopping for vinyl siding. Consult with the expert contractors at Beissel Window and Siding. 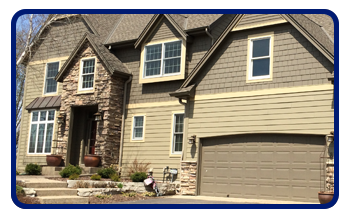 They can answer any additional questions you have about vinyl siding for your home.